These beautifully crafted sunglasses showcase a modern silhouette in polished metal that is lightweight yet lasting. 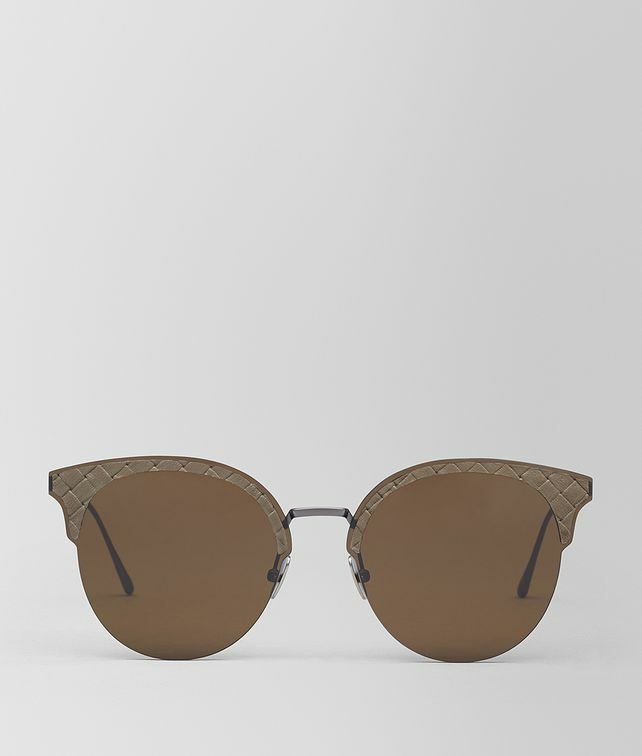 The timeless style expresses iconic intrecciato detail hand-contoured above the lenses and Bottega Veneta’s signature semi-spherical rivets meticulously applied at the arms. Their custom nose pads and flawless fit ensure comfortable wear.